The publisher has established a number of series of books featuring many rare photographs and these have become very popular with an expanding readership, beyond the original target of historians, professionals and military enthusiasts. 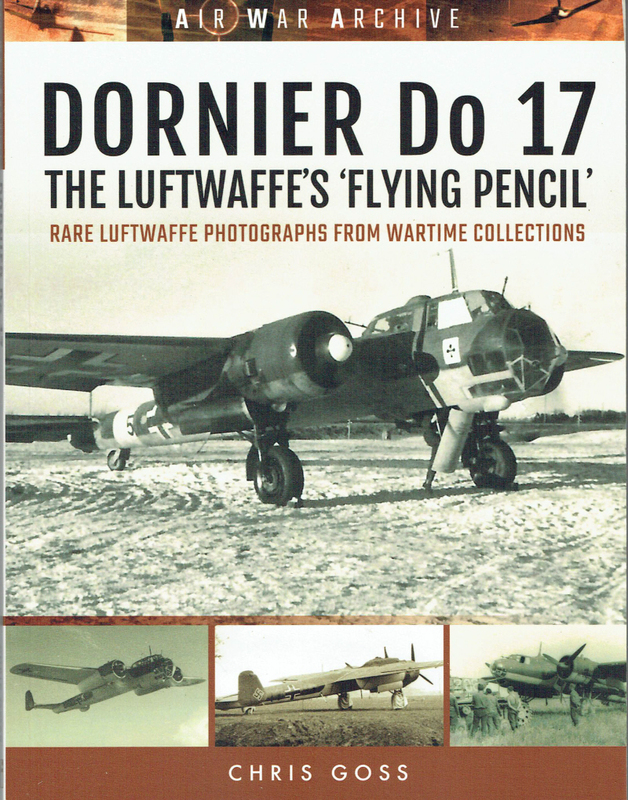 This new addition to popular the Air War Archive series is a worthy addition with some excellent photographs that have not been published before in books available to the general public – Highly Recommended. in books available to the general public – Highly Recommended. 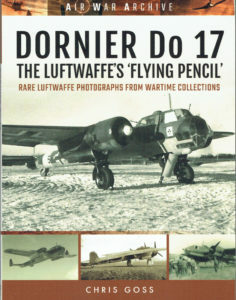 explains the strengths and weaknesses of the Do17. stem the Allied advances on all battle fronts. sight that made pilot and gun platform one integrated system. fighters in position to make the most effective use of their guns. be used because the Luftwaffe lacked credible alternatives. replacing a very dated concept. shot down in the theatres in which it operated.